So Hubby went back to work on Tuesday and we both decided prior to this day that He will be taking a lunch box to work ‘which would be the first’. Being the foodie that I am – I took on this project with so much enthusiasm and went full speed to the shops to get everything needed for the long awaited lunch boxes. 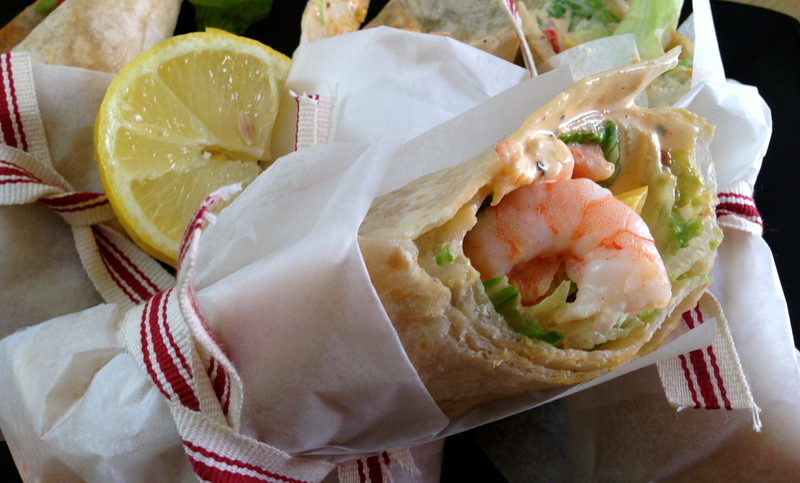 Today the first lunch box went out – Individually wrapped Prawns with Avocado & PeriPeri Mayonnaise. Warm the wraps according to packaging instructions. Coat the avocado with lemon juice and set aside – prevents discolouration. Mix the Mayonnaise with PeriPeri sauce. 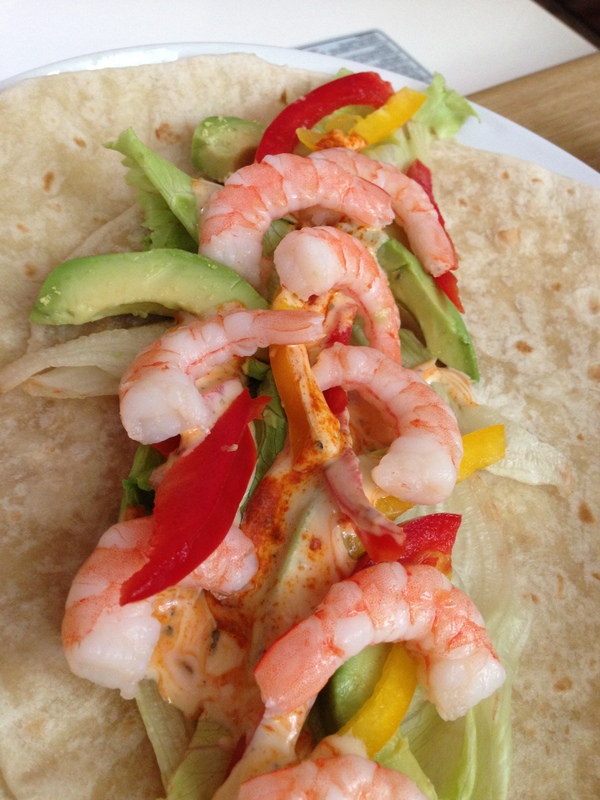 Layer lettuce, avocado, sweet peppers, prawns and Mayonnaise on the wrap. Carefully enclose the filling inside the tortilla wrap and secure with a food grade wrapping paper and tie with a ribbon – or a cocktail stick can be used to secure the wraps. Make sure these are packaged in a cooler lunch box. If you coat the avocado with lemon juice, avoid direct contact with the prawns when layering as this might cook the prawns further. Watch out for more Lunch Ideas! Light and healthy and probably tastes good and filling…..yumm! Thanks my SweetP…. Hubby enjoyed it a lot. This is great stuff T. Top of the drawer. Thank you for the recipes. absolutely yum yum, I’m salivating as is! good work Dadethu!!! Yummy..My lunch box will never be the same. Pitty my kids are fussy eaters. Yummy..My lunch box will never be the same. Pity my kids are fussy eaters.